Beginning on October 1, guitarist, composer and bandleader BILL FRISELL embarks on his most extensive US tour yet, in support of his lastest Nonesuch release Good Dog Happy Man. While having played a handful of tour dates here in support of recent Nonesuch releases Nashville (1997) and Gone, Just Like a Train (1998), the 22 dates on this fall's 20-city engagement reflect his heightened profile and increasing popularity. 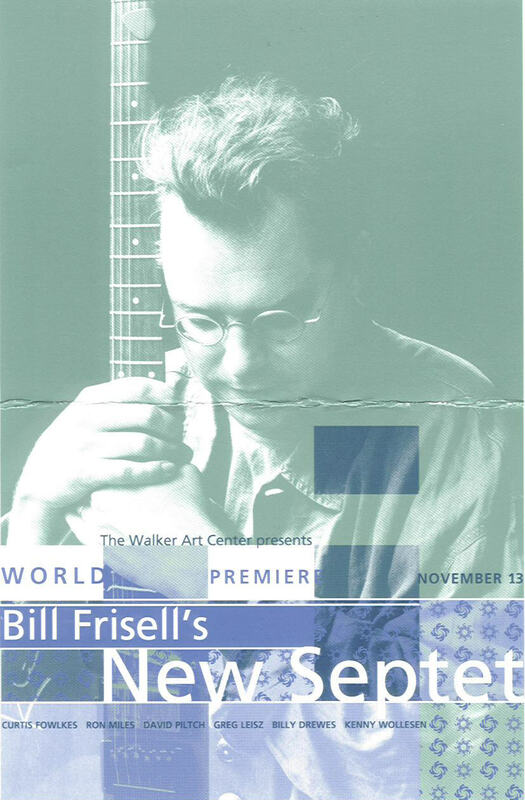 For the final concert in Minneapolis this November, Frisell will debut pieces commissioned by the Walker Arts Center and written for his New Quartet plus Curtis Fowlkes (trombone), Billy Drewes (saxaphone), and Ron Miles (trumpet). Performing with his Sextet bridges Frisell's recent work, rooted in American indigenous musical styles, with his jazz-inflected writing for larger ensembles. 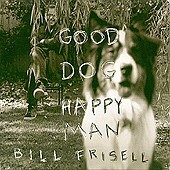 Released this spring, Good Dog, Happy Man serves as further evidence of Frisell's unique musical vision. His distinctive sound features a blend of country, blues, bluegrass, and rock imbued with the improvisational sensibility that he has fashioned into a gendre unto itself. 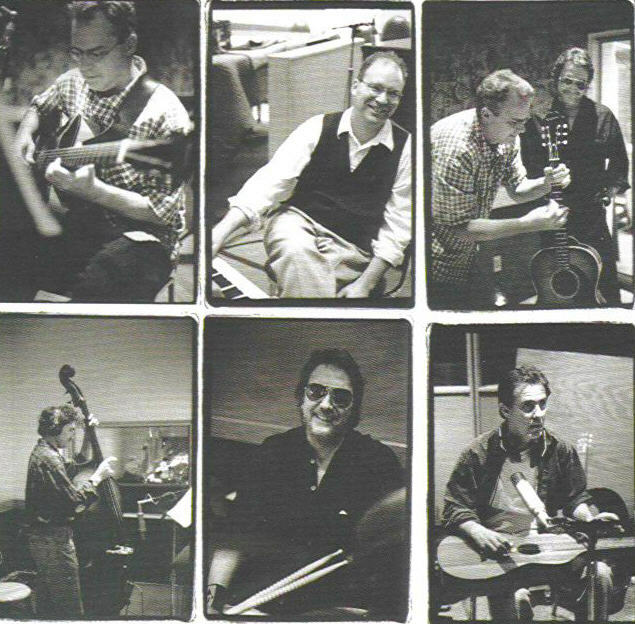 The recording reunites Frisell with the rhythm section employed on Gone, Just Like a Train, bassist Viktor Krauss and drummer Jim Keltner, plus multi-instrumentalist Greg Leisz (Joni Mitchell, Jimmie Dale Gilmore, K.D. Lang) on dobro, mandolin, weissenborn, national steel guitar, lap and pedal steel guitars, and Wayne Horvitz (Zony Mash, Naked City, The President) on Hammond B-3 organ. In a distinguished career that spans more that 20 years and more than eighty recordings, Bill Frisell has contributed with such diverse artists as Ginger Baker, Gavin Bryars, Don Byron, Elvis Costello, Jerry Douglas, Marianne Faithful, Robin Holcomb, Paul Motion, David Sylvain, Hal Wilner, and John Zorn, to name a few. In addition to the upcoming tour, Frisell is featured on a new recording with Burt Bachrach and Elvis Codtello ( and guest vocalists Costello and Cassandra Wilson) called The Sweetest Punch, to be released by Decca on September 21. 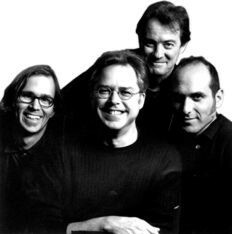 Frisell also played alongside Bono, Brian Eno, Jon Hassell, and Daniel Lanios on the soundtrack for a new Wim Wenders-directed film, Million Dollar Hotel, starring Mel Gibson with a screenplay by Bono.